Star Wars Roleplaying Game comes in three variants. The first variant was the Star Wars: Edge of Empire. It was later followed by Star Wars: Age of Rebellion and Star Wars: Force and Destiny. Although all three variants were released separately, they can be used with each other, or as a standalone. 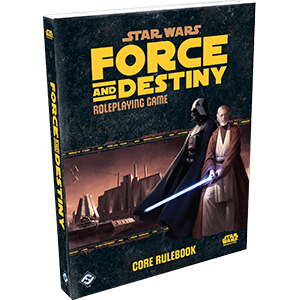 As in other Roleplaying games, Star Wars Roleplaying Game also requires the player to take on the role of a character and perform certain actions to emerge victorious. Star Wars Roleplaying Game also allows the player to create a custom character if they wish to. Players can also build their their own characters. They can specialize their characters for specific roles and by doing so they could gain “talent” which will power up their character even more. A unique feature that exists in the Star Wars Roleplaying Game is the Obligation System. The Obligation System helps the Game Master (GM) to add more depth to the story and to the characters as well, and is more important in new character creation. Another feature, the narrative dice, is a robust mechanic that is present in all three section of the Star Wars Roleplaying Game. There are seven separate dice with eight distinct symbols. The seven dice are 3 positive dice, 3 negative dice, and a force die. Each die can be interpreted differently by the GM which creates room to diversify the story. Each of the 3 sections have different general theme in it and given adventure that goes with it. For those who feel that the game is too content heavy and complex, there is always the Star Wars: Edge of Empire Beginner Box. 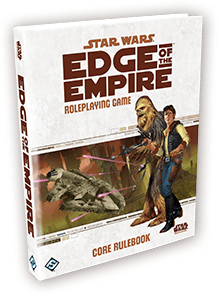 In Star Wars: Edge of Empire Beginner Box the adventure are pre-set and it comes with a simpler rules. This helps to reduce the amount of mastery and skill needed to play the game. By the time they are done with the adventure, the players would be experienced enough to understand the basic rules and they can then choose to create custom characters and play on the Star Wars: Edge of Empire Beginner Box or they can choose to proceed on to one of the three main sections of Star Wars Roleplaying Game. 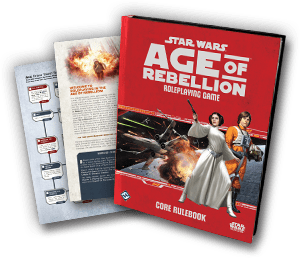 Star Wars Roleplaying Game is a great game that can be played by many players and is very much diverse so that no one game session would be the same ever again. It’s new and captivating mechanics, along with custom characterization and huge number of adventures would definitely be appreciated and wanted by many role playing game fans.